Catalina Island is a rocky island off the coast of Southern California. The island is 22 miles long and 8 miles across its widest point. The island is located about 22 miles south-southwest of Long Beach, California. The City of Avalon is located in the southeastern part of the island and is primarily a resort community. 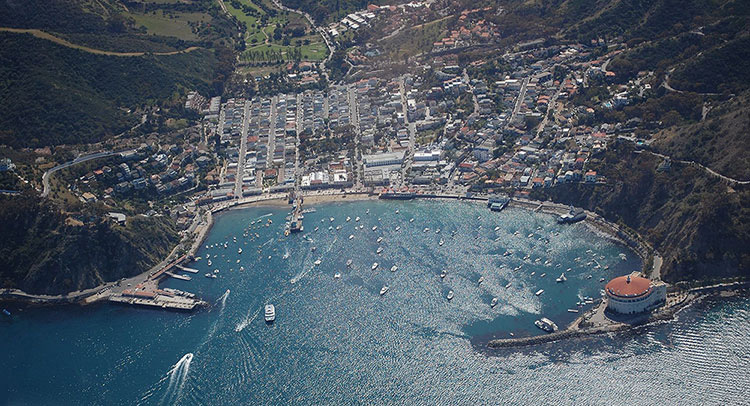 Most of the waterfront is dominated by tourism-oriented businesses, including Diving Catalina. Three companies offer passenger service to Catalina Island: Catalina Express, Catalina Flyer and Island Express.